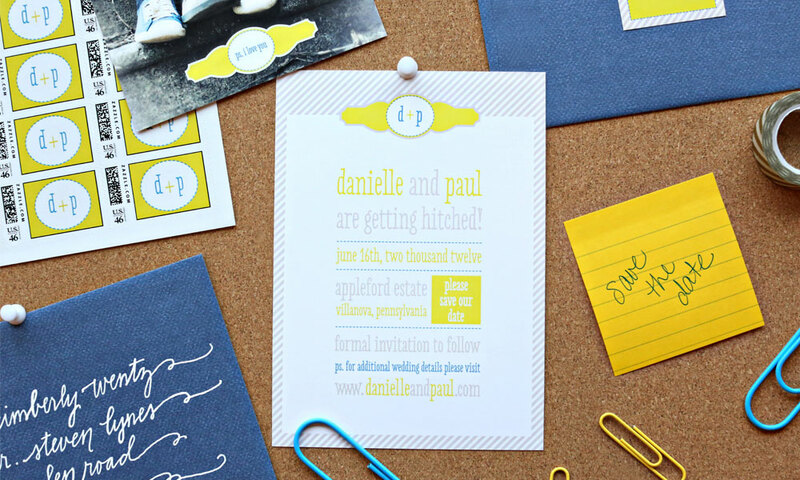 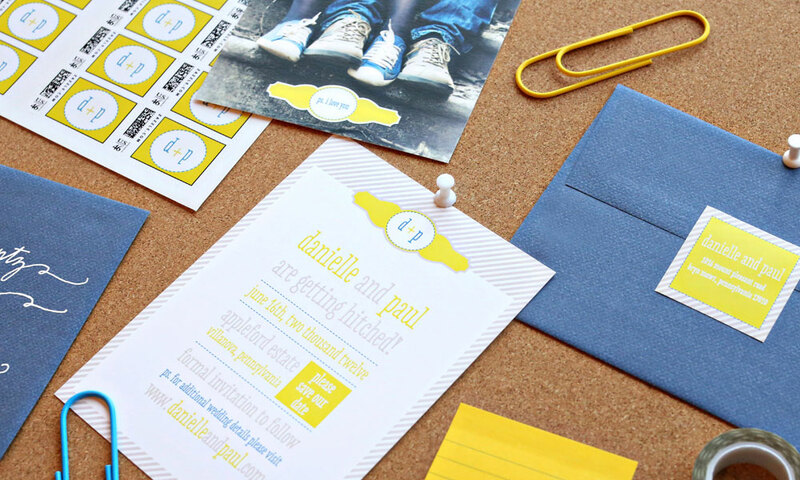 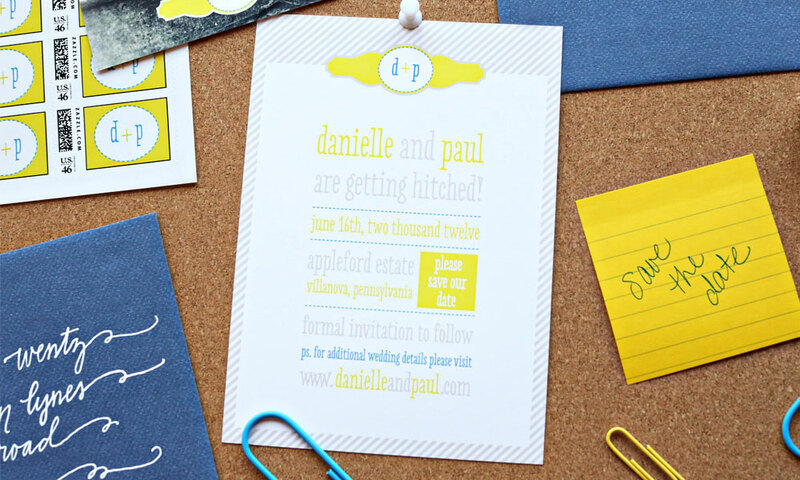 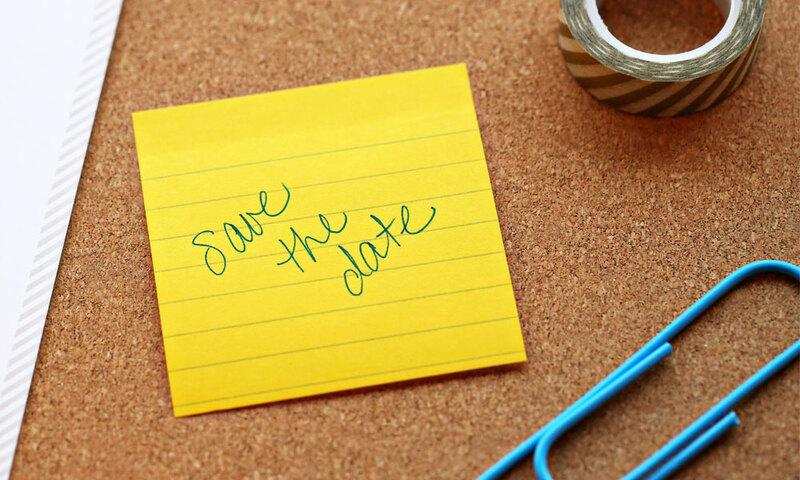 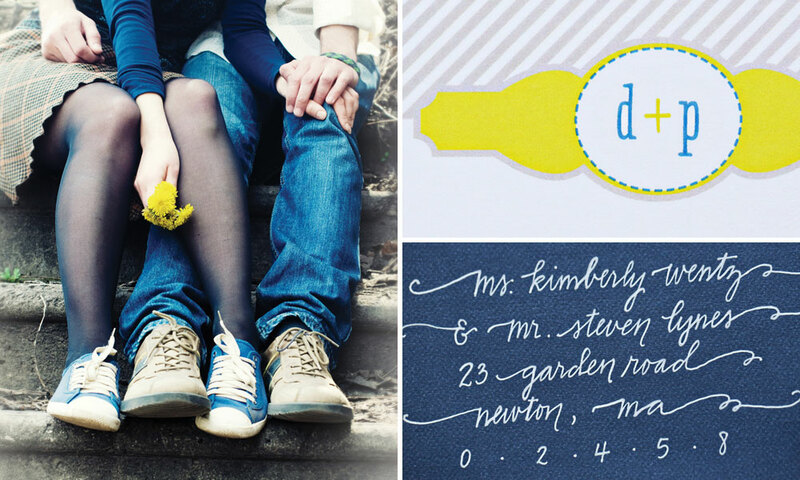 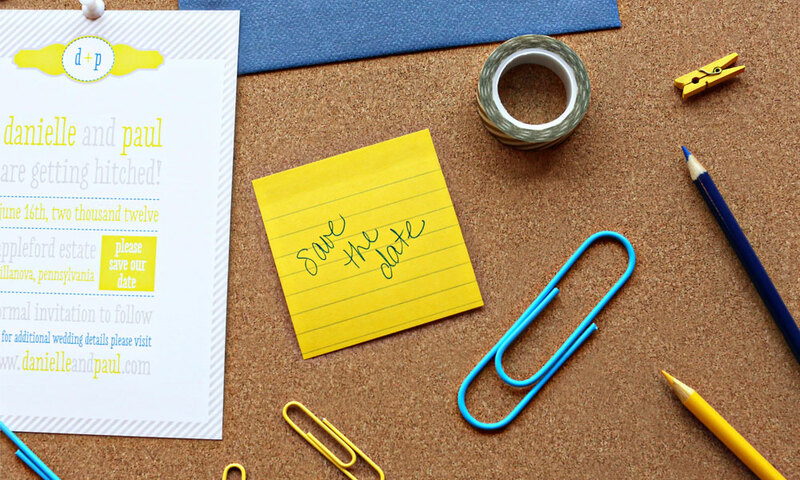 This playful save the date reflects the personality and color palette of the sweet portrait Danielle and Paul gave Zorie to use in their design. 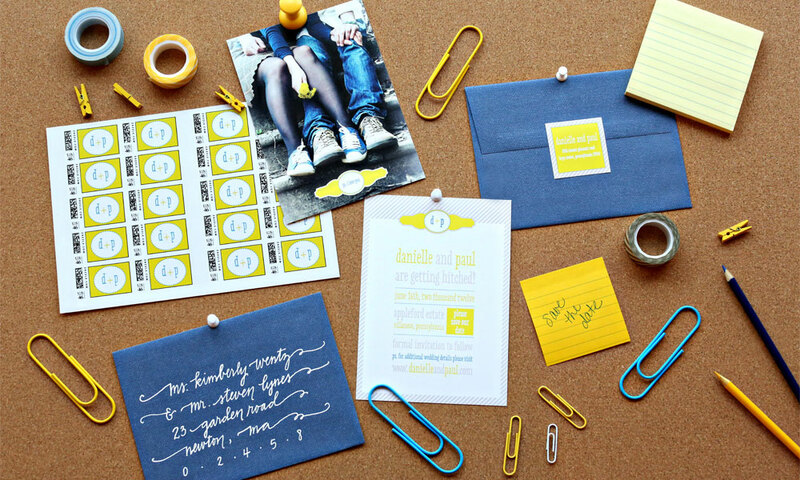 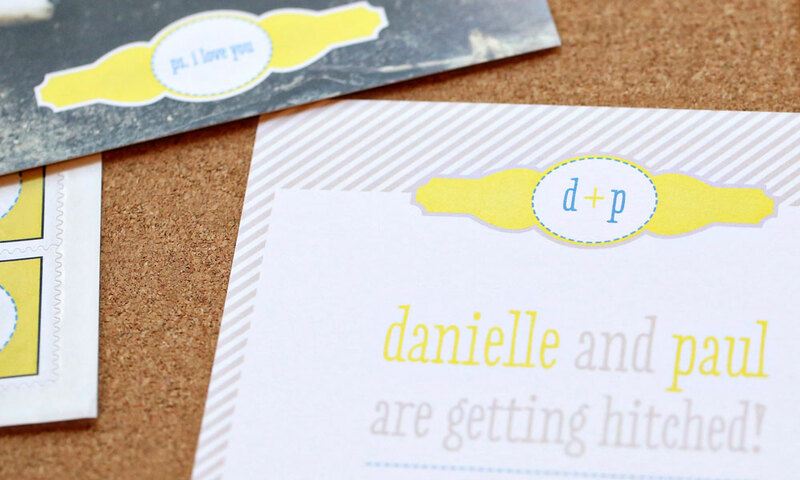 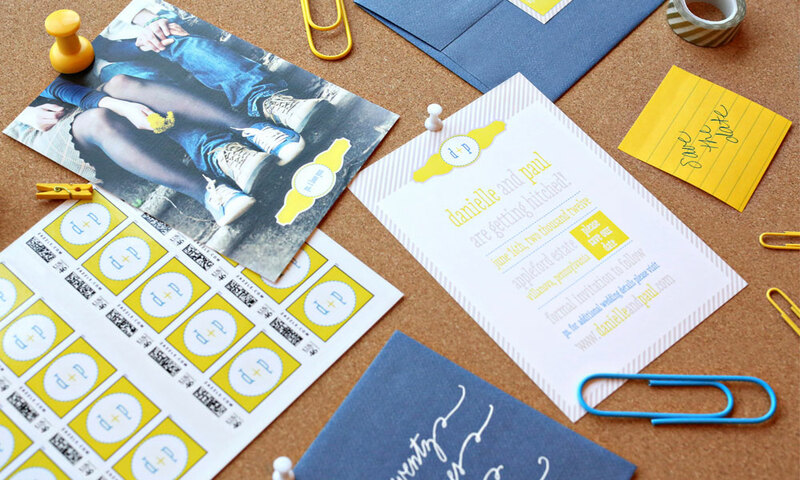 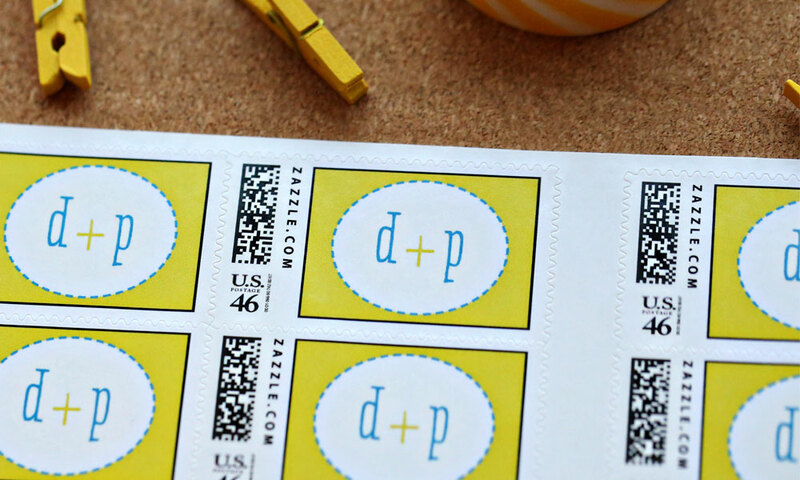 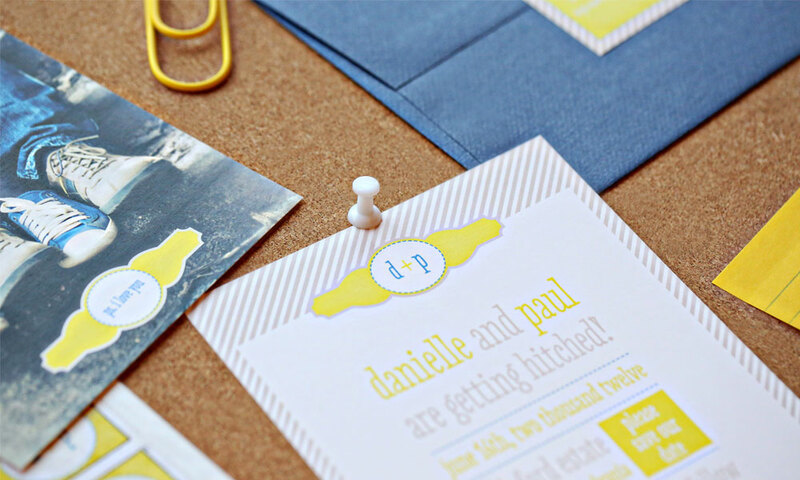 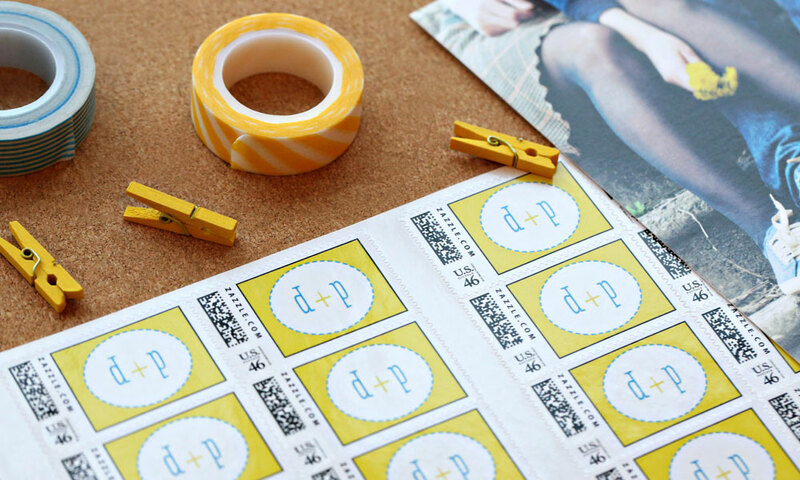 The yellows, blues and neutral beige flow nicely with the fun typography and custom monogram we created using the couple’s initials. 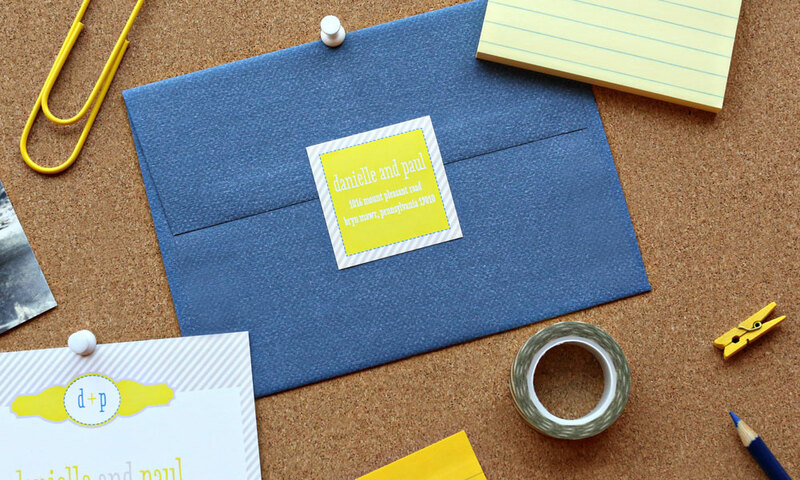 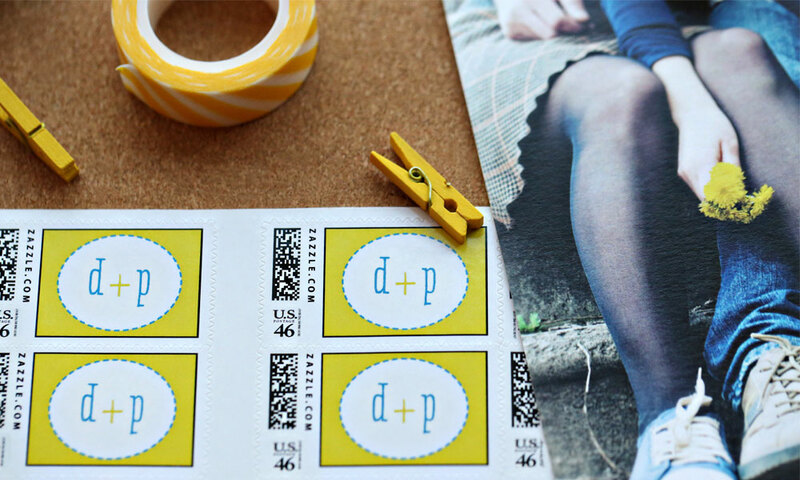 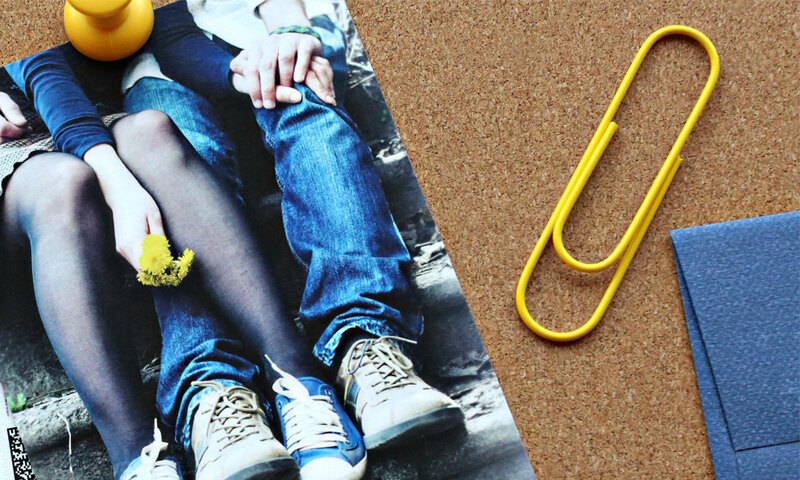 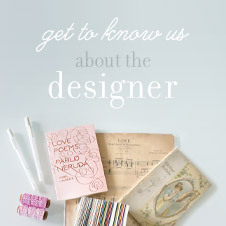 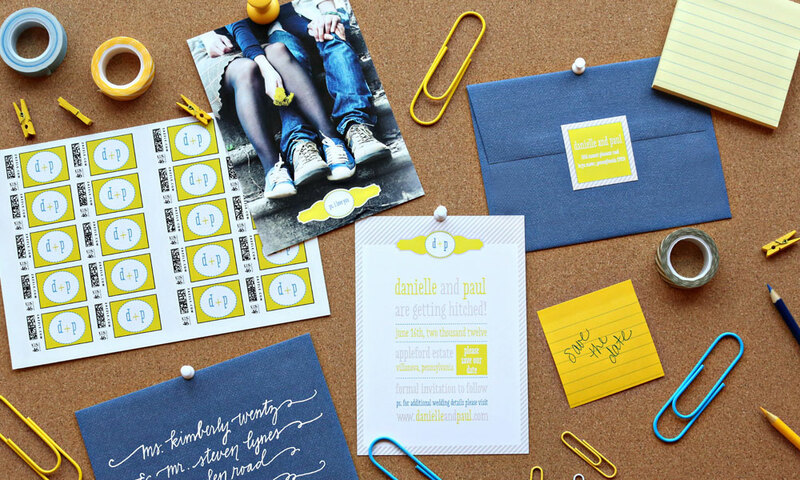 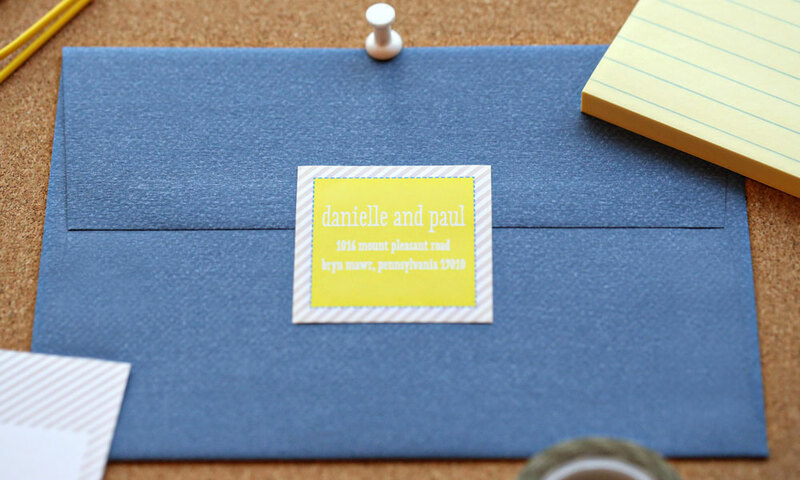 You will love (as much as we do) the envelope that matches their jeans! 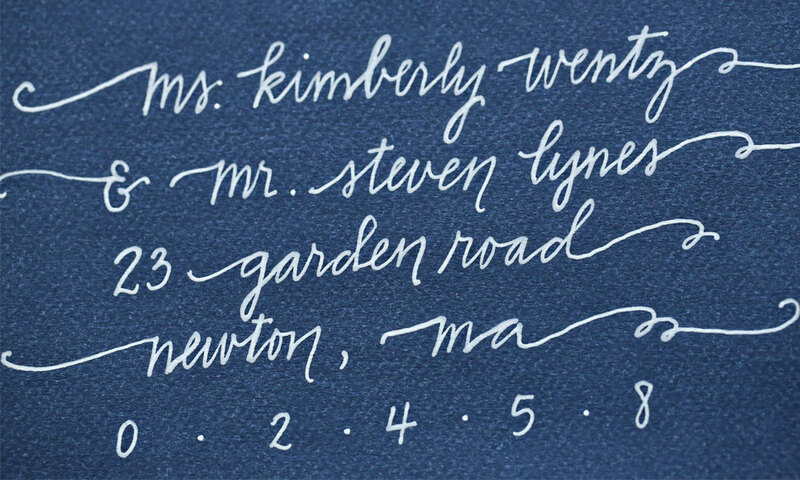 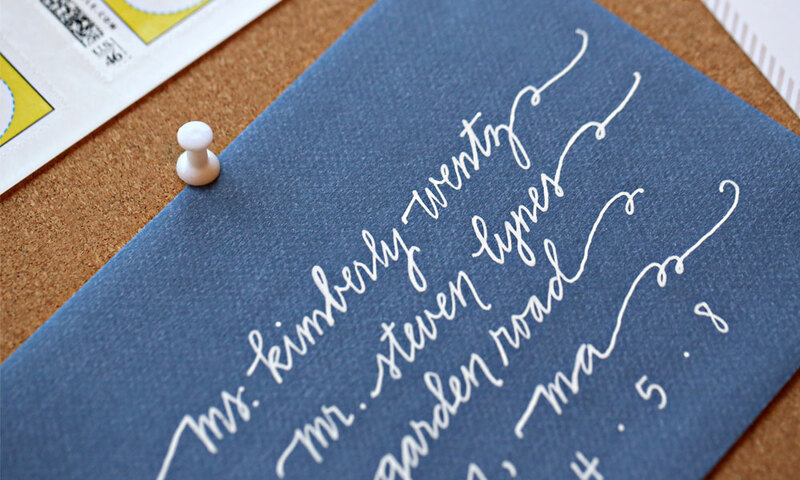 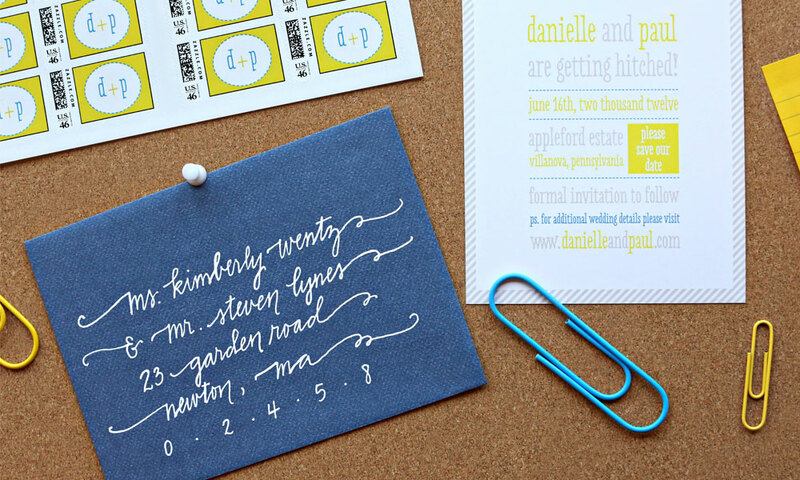 This save the date was mailed with a custom monogram stamp, custom square seal and address label, along with white calligraphy inspired by natural handwriting.